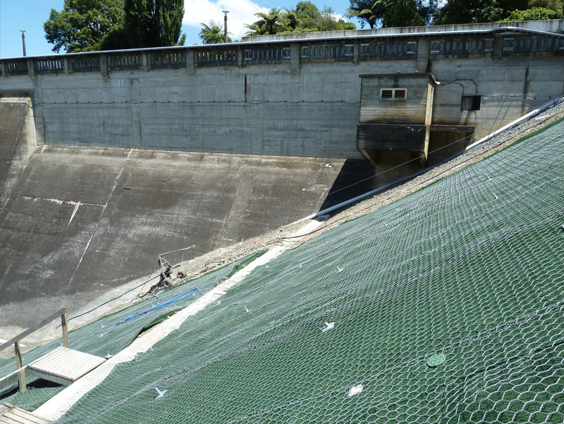 LINKLOK® is a combination of the proven turf reinforcement mat (TRM) Landlok®450 and the unique features of double twist mesh provided by the Link rock fall netting product. Each component is supplied as separate items to ensure that the highly flexible nature of the Landlok® product can be laid and pinned, such that immediate and long term intimate soil contact is achieved to provide positive soil erosion benefits. Overlying the Landlok® 450 TRM is an anchored Link rock fall netting product to provide good mechanical strength against superficial surface failures and potential rock movement. 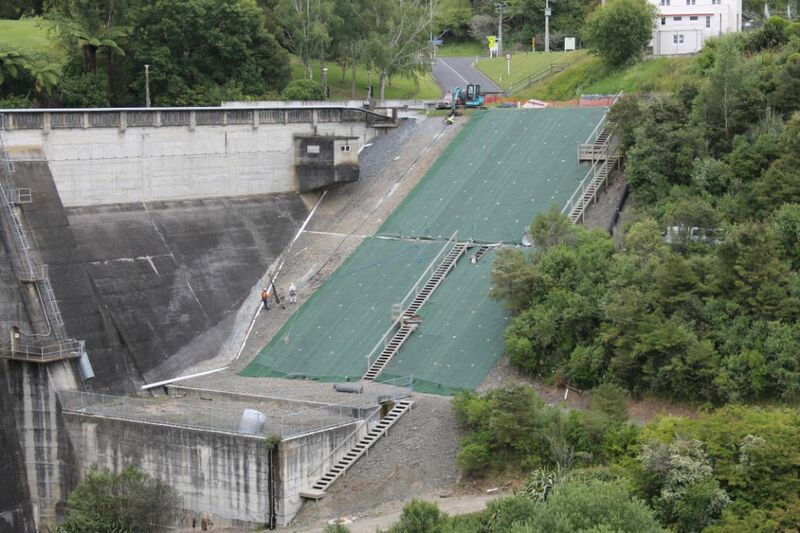 LINKLOK® may be supplied using the Landlok® 300 or Pyramat® High performance Turf Reinforcement Mats (HPTRM) when required. Global Synthetics will provide additional specification details upon client request. Landlok® 450 is a 100% synthetic, highly UV stabilised product that uses a unique X3® tri-lobal polypropylene fibre that has been demonstrated to provide increased strength and superior growth environment than traditional monofilament fibres used in competitive products. Landlok 450 is additionally stitched along the length direction of the roll and laid between an upper and lower layer of netting to provide increased tensile strength. Link double twist mesh is traditionally supplied in a 2m wide by 50 m long roll (other roll lengths and roll widths are available). The product is woven in the unique double twist weave that minimises the potential to unravel. 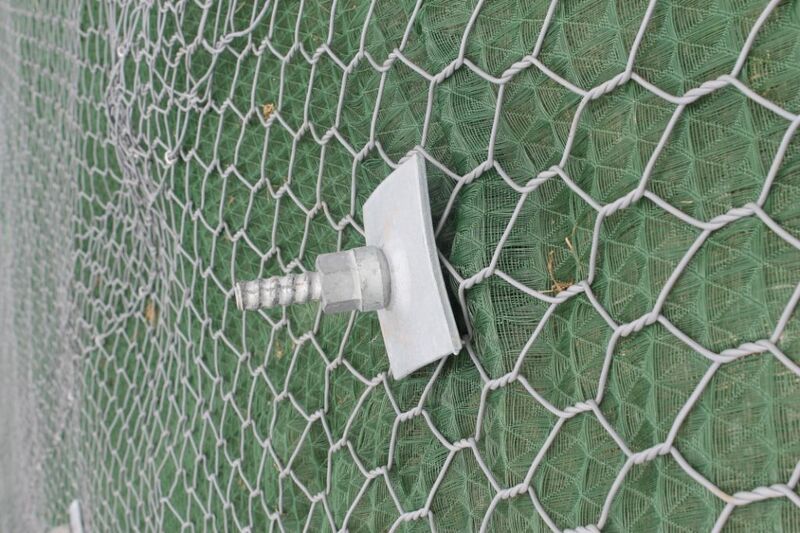 Additionally the Link® carrier netting is protected by a licensed coating process known as Galfan® which is a 95% Zn/5%Al (with rare earth mischmetal additive) that has been independently tested to demonstrate a life of 3-4 times greater than traditional heavily galvanised wire of equal diameter and placed within the same operating environment. Overlying the Galfan® coating is an extruded UV stabilised polymer coating for superior long term life.